Have you ever wondered how your pantry staples last on the counter for so long? Or, have you ever wondered what soldiers eat when they are deployed? These questions, seemingly unrelated, have one big answer. 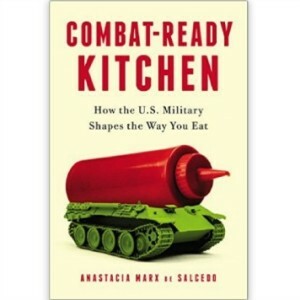 The new book Combat-Ready Kitchen: How the U.S. Military Shapes the Way You Eat documents the surprising connection between the U.S. military and the foods in your kids’ lunchbox, and how foods developed by the military end up on supermarket shelves. We sat down with author Anastacia Marx de Salcedo to ask her a few questions about her new book. Here’s part 1 of our interview. What do you think will surprise our readers the most about the connection between the military and the food industry? 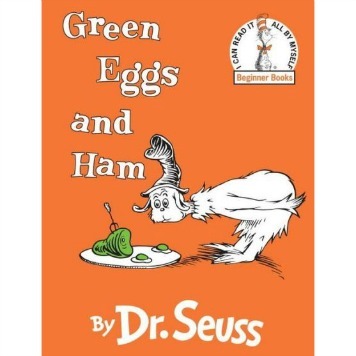 I think what will surprise readers is what most surprised me about the connection between the military and the food industry. That is, the military actually has a mandate to get the science it uses in creating rations into the consumer food industry. This mandate dates back to after World War II, when the government wanted our supply chains to be prepared in case we needed to go into another enormous global war. So, it decided to maintain the military, and the commercial sectors that support it, in a state of “readiness.” What that means in the food arena is that the military, and specifically the combat feeding directorate, has to be able to, at a moment’s notice, turn to food industry companies and ask them to convert their production lines to creating rations. Or, even better, that some of the products the food industry already creates will meet military specifications—and this is indeed the case. And that surprised me a lot because I didn’t realize how intentional this whole system was. Yes, it’s very surprising that the food industry has both consumer interests as well as military interests. I didn’t really come to this knowledge right away. I started to do research on the simple sandwich, and I found that research to increase shelf life was connected to the military. It led me to the U.S. Army Natick Soldier Systems Center, a huge research and development center. I thought, wow, what other kinds of things are they doing? Eventually I thought, well why are they doing this research? And that’s when I discovered this whole thing about “military preparedness.” In fact, all of this was codified in the 1980s for economic development reasons. The government back then decided to make sure that any federally-funded research was shared with the private sector to try to encourage business growth. How has the military’s influence on the food we eat helped consumers, and how has it harmed us? Well, the military’s influence has ended up creating foods that are convenient, affordable, and appealing to a broad range of palates. Most consumers rely on these qualities in food products. On the downside, while much of the science and technology that goes into creating military rations is geared toward things like imperishability, durability, affordability, and wide appeal, those things aren’t necessarily the things that promote human health. The even greater downside is that there are a lot of additional ingredients and processes that go into foods to create a vastly extended shelf life. So, there is a whole portion of ingredients in food we buy at the supermarket that aren’t really food; they are just there to create a long shelf life. On the other hand, over time, things are evolving in some areas in a good direction for us consumers. Some of the older innovations that come from the military are not necessarily the healthiest. Starting with the tin can, we ended up with a lot of ingredients like salt, sugar and preservatives in our food. Some things in the can itself are not that good for us. But as the military has become more sophisticated and food and health science has developed, a lot of new approaches have appeared. So there is now, for example, a new food processing technology called high pressure processing. A tremendous amount of pressure is applied to the food through water, killing any microorganisms in the food and sterilizing it with few or no chemicals. This is something that has started to appear in supermarkets, and I think it may be a healthier processed food option for many of us. The early studies are pretty positive that these foods contain the original vitamins, and the taste and the texture is very similar to fresh foods. And with this particular technology, there is the potential to preserve a whole dinner that you could just serve to your family. And I’m not going to advocate this for every night, but sometimes if we get rushed, people might want to eat these kinds of foods. Another thing that I think is probably overall a positive is modified atmosphere packaging, which is something that came out in the 1960’s to ship food to Vietnam. You can insert different gasses that you might find in the atmosphere into the packaging but in different proportions so that it slows down spoilage. This is actually routinely used in those packaged greens that you get in the supermarket. I know I use those; you open the package, put it in the bowl, and you have a fresh salad. It’s surprising for most people to find out that the military has a big influence on our food system—like the invention of the granola bar—why do you think this is a completely new concept to most? It’s a new concept because to trace that influence you have to go through this whole murky dark wood called science. Unfortunately, most Americans feel very intimidated by science, and most writers do, too. 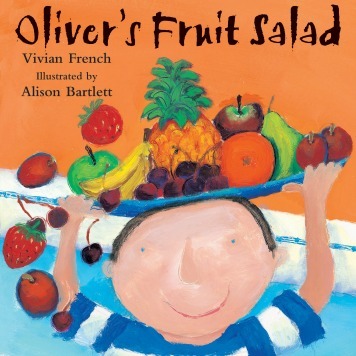 I have to include myself in that category — if I hadn’t written this book, I wouldn’t have looked into food science. To be able to see how that influence has rippled out from the military, you have to be able to trace it through. For example, from the funding for a specific laboratory at MIT, whose research gets disseminated out through a bunch of academic publications — then eventually companies take out patents related to the research, which leads to products appearing in the market that use this new technology. So you have to be able to understand some science to trace that process, and it’s hard. I would say that this is kind of something that we as parents should be more engaged with. Our kids are counting on us to understand how the world works, and especially how the modern world works. When we don’t pay attention to science, we’re missing out on some of the most powerful things around which a lot of important decisions are made. So I think that it’s really an important thing for parents, and especially mothers, to try to turn that around and try to understand how the world works around us. And I think food is a great place to start. Many people would be surprised to learn that the FDA doesn’t regulate supplements. Yet our own military holds supplements up to a higher standard, but their standards are hidden. You suggest making their supplement safety database open to the public. What are some other ways the military could help us? There have been various pushes for the federal government to regulate supplements, and there has been a lot of push-back from the supplement industry. When the Dietary Supplement Health and Education Act of 1994 was passed, that kept the industry largely unregulated, and there was a huge expansion in the market. What’s interesting is that ultimately, the military has, to a certain extent, needed to step in where the FDA had failed. One of the motivations for having this database and making it available to soldiers was that soldiers were using dietary supplements at even higher rates than the civilian population. They had a couple of incidents where there were poisonings and even deaths related to supplements on bases. So not only were they interested in the possibility of supplements for the rations, but they wanted to make sure that the soldiers weren’t taking things that were harmful to them. So that’s clearly a place where the FDA dropped the ball, because I don’t think it really is the US Military’s job to be monitoring the supplement market. What advice would you give to parents who want to take advantage of the convenience of modern food, but at the same time don’t necessarily want their kids eating like a soldier? You mentioned looking into the science of food? 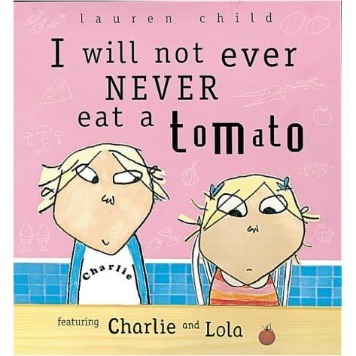 In terms of advice to a parent, I would tend to follow what is the traditional advice of nutrition. Stick to the foods that are closest to their forms in nature. But this doesn’t mean completely non-processed foods. For instance, modified atmosphere packaging is used for fresh fruits and vegetables, and HPP is also used for fresh fruits and vegetables and for meats as well. So we’re starting to see an evolution where there are some products that are getting closer to how they are in their fresh state or sort of a fresh-cooked state. So there is some good news there.